Am so happy as i write this blog post. THIS IS MY 100th post people. And what better way to do it than by having an opportunity to tell a little about myself and also to announce a blog Candy(my first ever). So lets take it slowly from here guys. 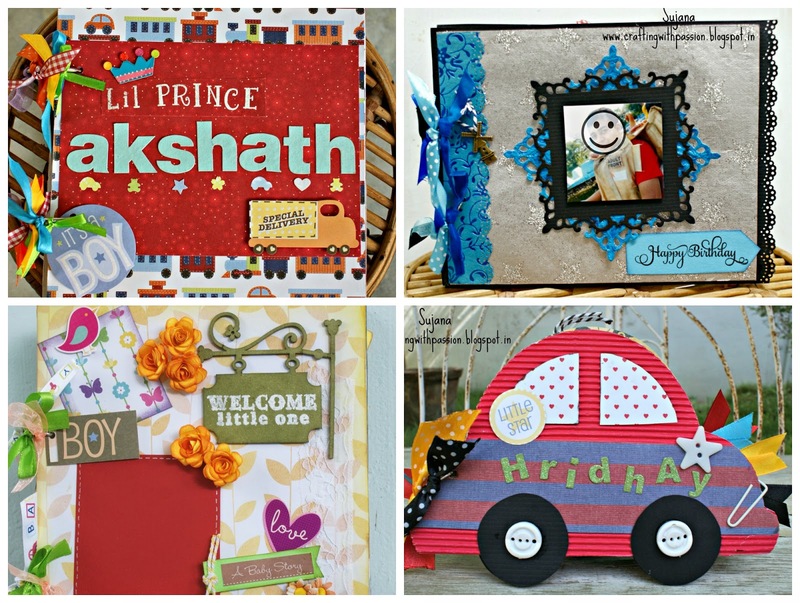 First i would like to thank Sindhu from Colors of Crafty world for tagging me in this interesting blog hop. I was a little busy last week so i missed a couple of other requests. Thank you everyone who considered me a friend and a worthy crafter to be tagged. So about Sindhu, she is one of the few people with whom i got connected as soon as i started the blog last year. And if u visit her blog ull immediately get to know that most of her projects has 'Utility' as the main concept. And she brings such beauty and creativity into everyday items like penstands, photoframes, School projects, etc. I love the way she conceptualises for a particular challenge. 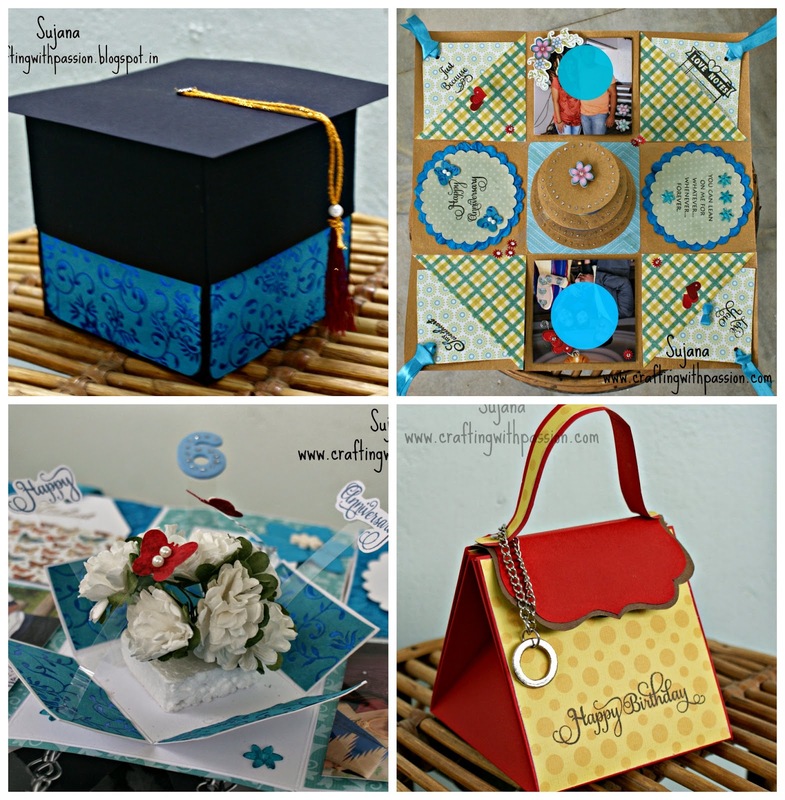 Do drop by her blog to see her creative work. Now about a little behind the scenes.... I am a compulsive crafter and certainly not a punctual one. Most of the time you can find me sitting in the middle of my mess trying and playing around with embellishments. I always tend to find the right combination just at the last minute. I can just never let go of a project till i am completely satisfied. Basically i am a very neat person, more towards like OCD but wen it comes to crafting, i am messy, very messy. And about my inspiration for crafting, am not going to say nature, flowers, and similar things, for me it is the beautiful work i see on Pinterest, Youtube, FB, blogs, etc. I never have a vision of my finished card or project, so to me each moment is exciting while i craft, but truly time consuming. And my style of crafting is like 'Detailed', i love adding a lot of details everywer, neat & detailed. I find CAS the most tough though. It simply pains my heart to leave soo much vast empty spaces :) Thats jus me, but i look with awe the people who can actually put so many details in CAS. 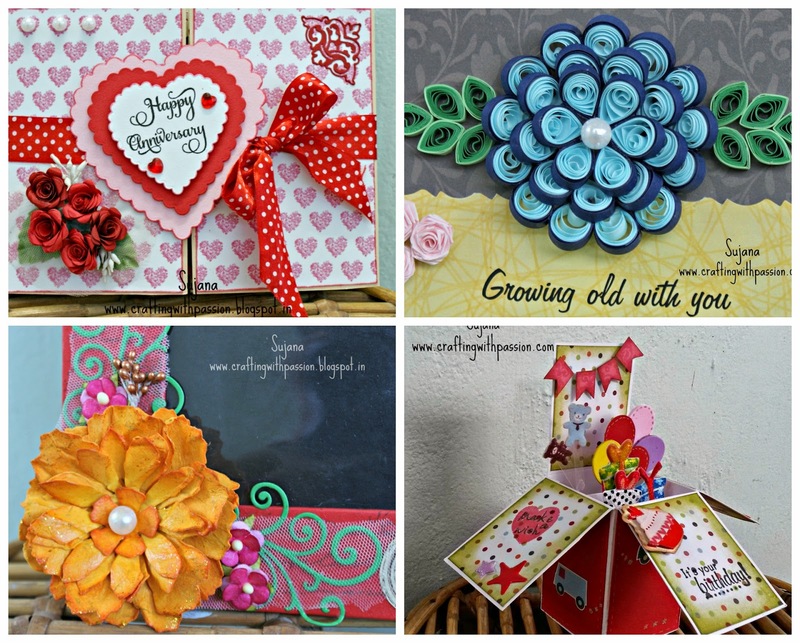 My friends say that am good at explosion boxes so if u are new to my blog you shud check out some samples, i love making them- customising each panel and finding ways to do it differently. Am sure every paper crafter would have surely visited her. To say the least she s my idol. It was from her blog that i first looked at our community and it gives me pleasure to tag her. Thanks a lot Juhi for accepting my request. Do drop by her blog... ull find awesomeness!! And people dis post has bcom a lil lengthy, so come back for my next post for the Blog Candy details. I hav completed 100 posts and more than a year of blogging. So we shud be celebrating, shud'nt we? See you all pretty soon again(like tom). Be ready, dont miss my next post. SO good to read about you Sujana-- I especially liked your neat but not in crafting lingo!! Ohh you are B.E+ MBA !! Loved reading little more about you and knowing your process of creating awesome projects Sujana ! Congrats on your 100th post !! Hoping to see you more active ..
Great to know about you Sujana.. :) i love your Explosion boxes..and congrats on your 100th post !! Finally, I get to know about you. :) Congrats on your 100th post.I'm glad to have known such a talented lady like you, love your explosion boxes, your interactive cards and all the creative work you post here. I wanted to tag you too but the day I saw your reply on my mail, my blog hop post had already gone live. And sorry for not replying, life's pretty hectic on my side these days. Looking forward to see more of your amazing work, friend! Oh Sujana, I am so so sorry for taking such a long time to respond, I am juggling so many things right now that my blog tends to be neglected. Thank you so much, I am truly honored. I love your work......esp your latest work for your daughter's birthday party - she is sure blessed to have a talented Mom like you!